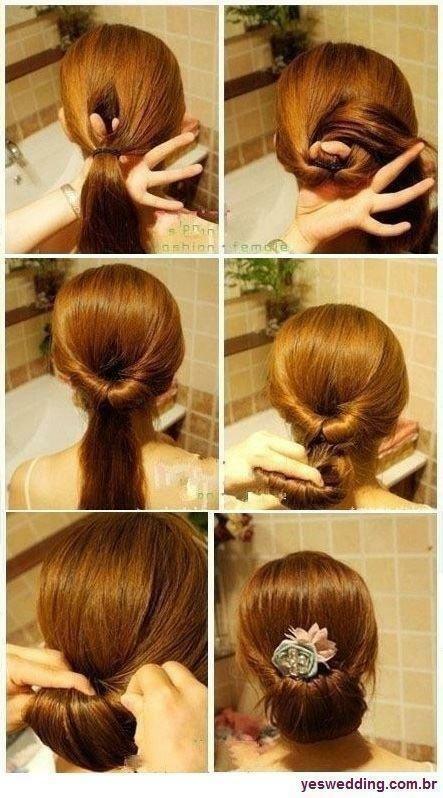 This is a very beautiful classy homecoming/wedding hairstyle. And plus, it's very quick and simple! If you look closely you can see that step 3. looks very beautiful itself. So, this is kinda, two-tutorial post! The weeding/homecoming hairstyle & the unnormal cool 'pony'! Hope , you'll try it! P.S. What do you think about our new blog design? As you can see on the side track, I posted links to Facebook, Twitter! Like and follow us!